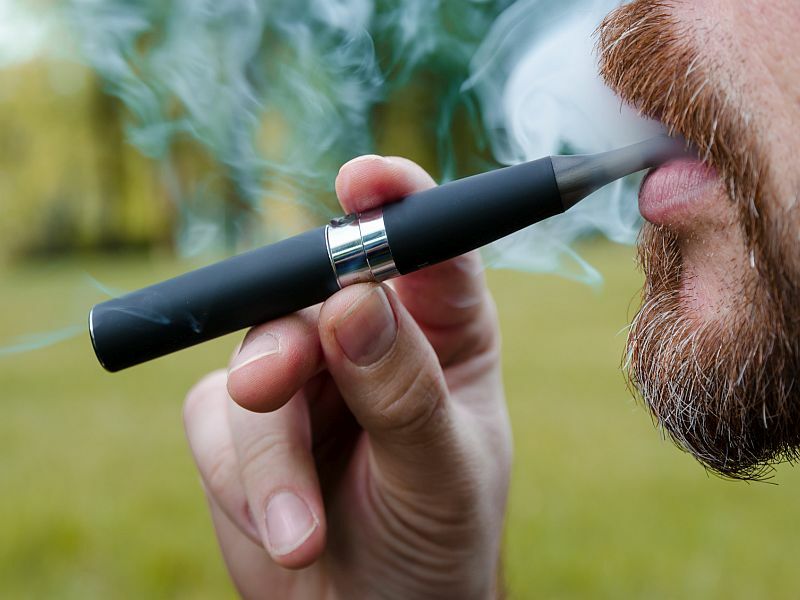 "The findings are striking, because we now have solid evidence that e-cigarettes -- while they still expose users to some toxicants -- appear to significantly reduce this exposure compared to combustible cigarettes," said study first author Maciej Goniewicz. He's an associate professor at Roswell Park Comprehensive Cancer Center in Buffalo, N.Y. However, "that reduction in exposure did not extend to dual users. This is important information for any e-cigarette users who continue to smoke tobacco cigarettes," Goniewicz said in a center news release. The data suggest that potential harm reduction can only be achieved if smokers switch completely to e-cigarettes and discontinue use of traditional cigarettes, said Goniewicz. The study comes at the same time the U.S. Surgeon General is saying "aggressive" action is needed to stop teen use of e-cigarettes. "Aggressive steps" must be taken by parents, teachers, health providers and government officials to prevent children and teens from using electronic cigarettes," U.S. Surgeon General Jerome Adams said in an advisory issued Tuesday. For young people, "nicotine is dangerous and it can have negative health effects," Adams told the Associated Press. "It can impact learning, attention and memory, and it can prime the youth brain for addiction." For the new study, researchers analyzed data from 5,000 U.S. adults who took part in the Population Assessment of Tobacco and Health (PATH) study, between 2013 and 2014. Those who used e-cigarettes only were exposed to toxins associated with tobacco use, but at significantly lower levels than smokers. Levels of exposure among people who used both e-cigarettes and cigarettes were similar to those who used cigarettes alone. The toxins included nicotine, tobacco-specific nitrosamines (TSNAs), volatile organic compounds (VOCs) and metals, according to the study. More than 90 percent of the e-cigarette-only users previously used cigarettes. Among e-cigarette-only users, 56 percent used e-cigarettes daily, while 20 percent of dual users used e-cigarettes daily. Cigarette consumption was similar between cigarette-only smokers and dual users -- about 15 cigarettes a day, the researchers found. "Our goal was to give the public reliable information about the actual impacts that smoking and vaping have on individual users," Goniewicz said. Study senior author Andrew Hyland, chair of health behavior at Roswell Park, said the study underscores the dangers of conventional cigarettes. "We know that quitting cigarettes improves health dramatically, but we don't know much about possible risks from smoking and vaping together," Hyland said. "These data are clear that cigarette smoking is the primary factor responsible for exposure to the toxicants measured in this study. Stopping smoking completely is the best thing a smoker can do for their health," Hyland said. The findings were published Dec. 14 in the journal JAMA Network Open.